Gilles was recently in Brazil to play at Boiler Room with the Sonzeira Reconstructed project, as well as working on the sophomore Sonzeira album. Whilst he was in Recife and Rio, Gilles found time to do some record shopping, and here are some of the highlights! 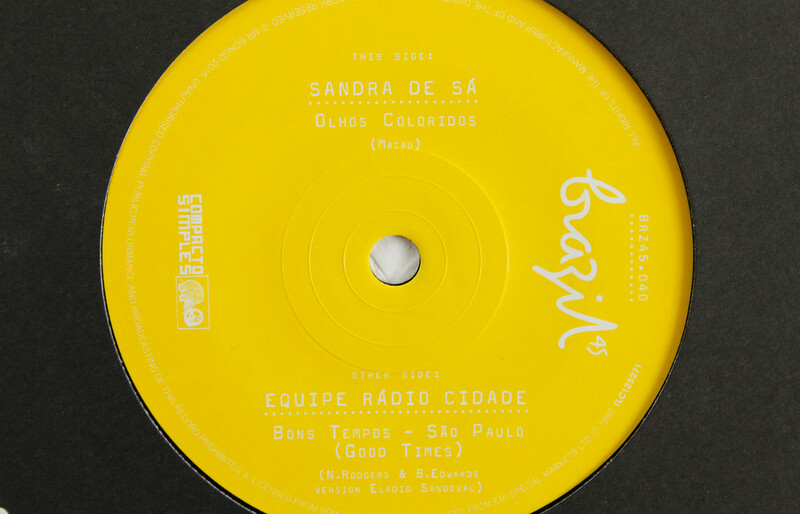 UK label MR BONGO presents new BRAZIL 45’s #39 & #40. Our leading lady of the series, Claudia, is back once again, this time with double A side. ‘Macumba’ is taken from one of her several self-titled LP’s, the one in question released in 1970 on Premier, Brazil. Sought after in its original form. Psychedelic, orchestral, MPB, exotica with hints of Bollywood! Horns strings and spaced out male vocals back Claudia’s amazing lead. Highly unique. 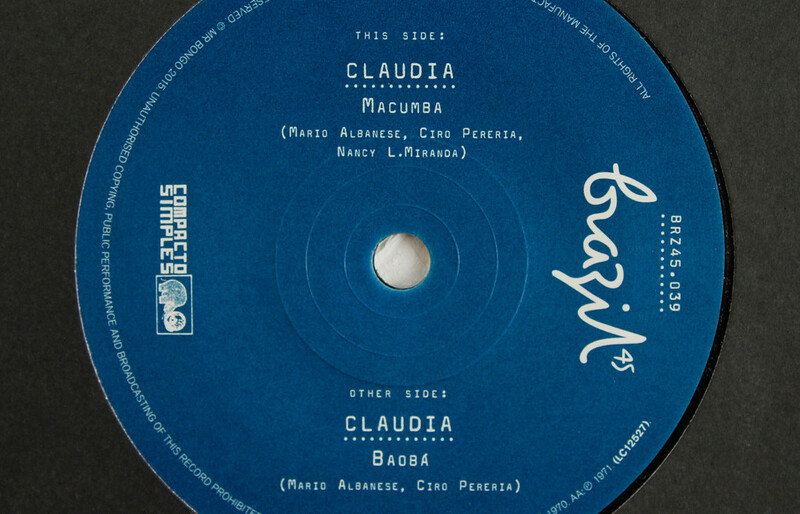 ‘Baoba’ is taken from Claudia’s all killer no filler Jesus Cristo LP, from Odeon released in 1971. Heavy on the strings and tough on the funk drums, before it breaks into a vocal jazz section, then back into the groove. Reminiscent of Swedish folk-funk singer Doris, whose album we reissued in the past. Two brand new names for the Brazil 45’s series. ‘Olhos Coloridos’ is an 80’s MPB/boogie jam, thats sits perfectly alongside the likes of Maia, Valle, Jorge and Olivetti. Backed here, by some of the members from Banda Black Rio. Taken from her self-titled 1982 LP on RGE Brazil. Originally released on a rare promo only 7″ from 1980, this is a Brazilian boogie version of Good Times by Chic / Rapper’s Delight, voiced by radio DJs from Sao Paulo especially for the Christmas holiday season! The replayed version of ‘Good Times’ stands up to the Chic version, and the added cuica heavy percussion breakdown gives it the true Brazilian flavour. 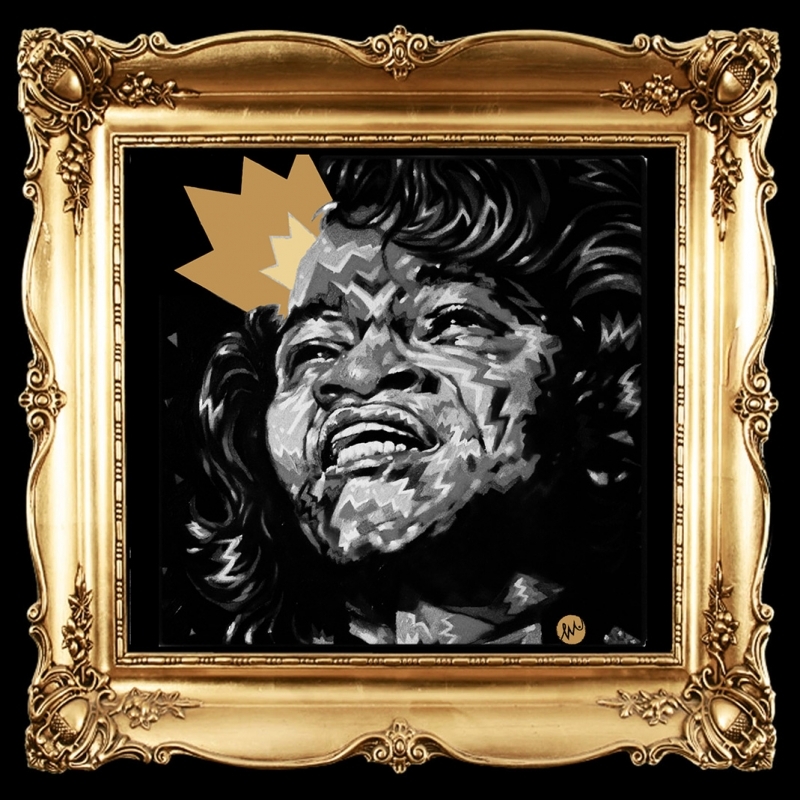 For the latest installment in their amazing “Live Mixtape” series, J.PERIOD & Black Thought pay tribute to the Godfather of Soul with an incredible feat: an entire mixtape, recorded LIVE onstage… in one take! With J.PERIOD on the decks juggling JB breaks and exclusive remixes, Black Thought breathes 35 minutes of nonstop lyrical fire, proving once again why he remains one of the greatest to ever touch a mic.